Happy St. Patrick’s Day! 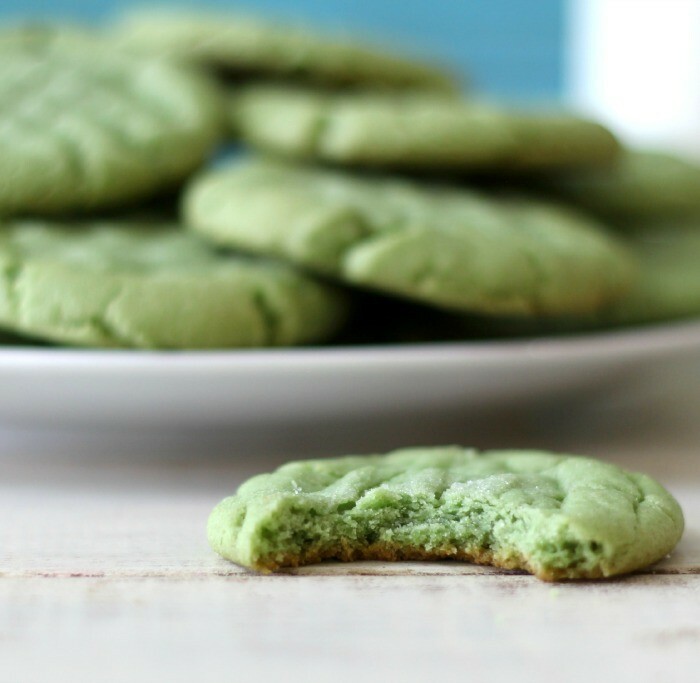 Today I took one of my all time favorite recipes and turned it green! 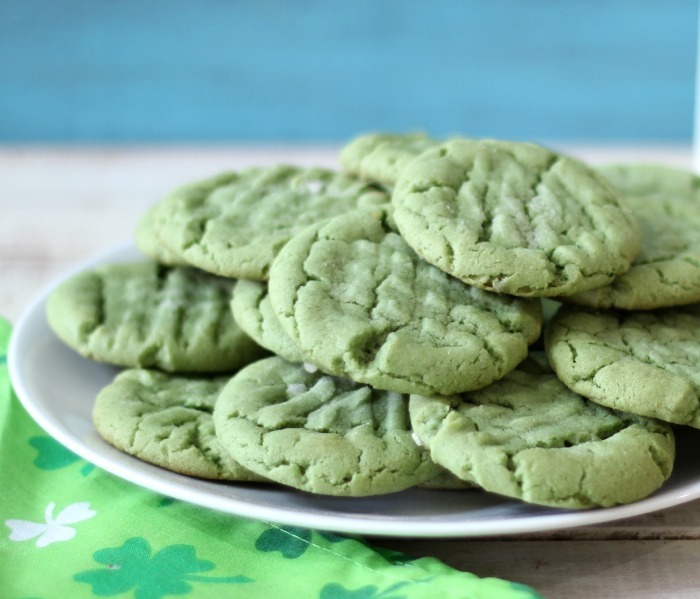 After all it is St. Patty’s Day and nothing goes better today than green Peanut Butter Cookies. 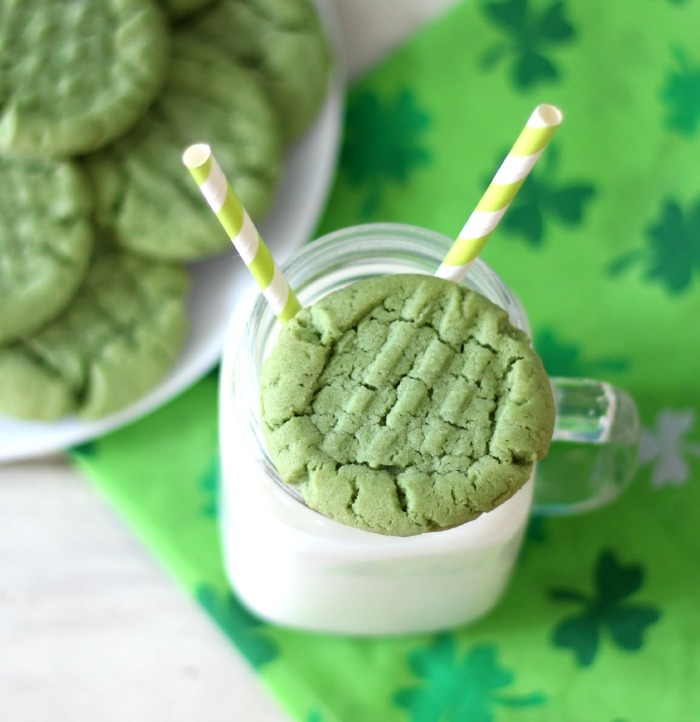 They taste amazing and people will be surprised when they bite into this green little gem to find the flavor of peanut butter. Yum!! 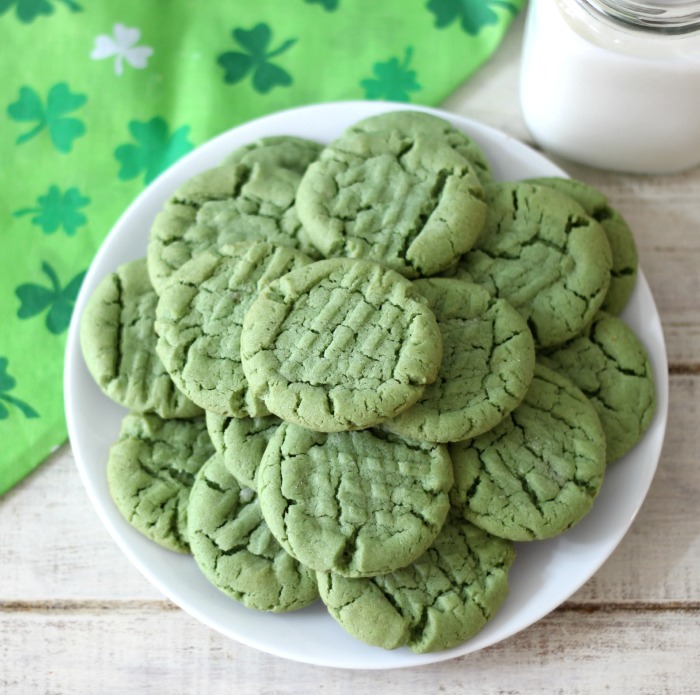 I took my traditional peanut butter cookie recipe and the only difference I made was adding about 6 or 7 drops of green food coloring. I didn’t want to mess with the recipe, since it took me a couple of years to prefect. 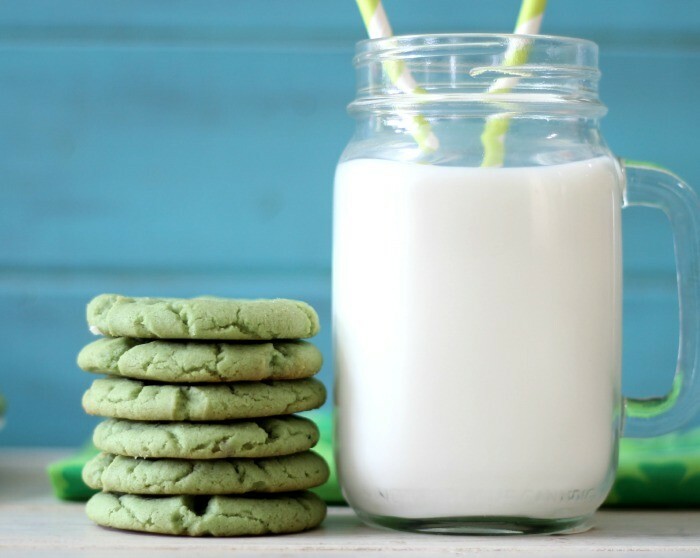 I was afraid the food coloring would mess up with the texture because sometimes food coloring can make cookies dried, but not these cookies, they are far from dry! matter in fact you need a big glass of milk when you eat them. 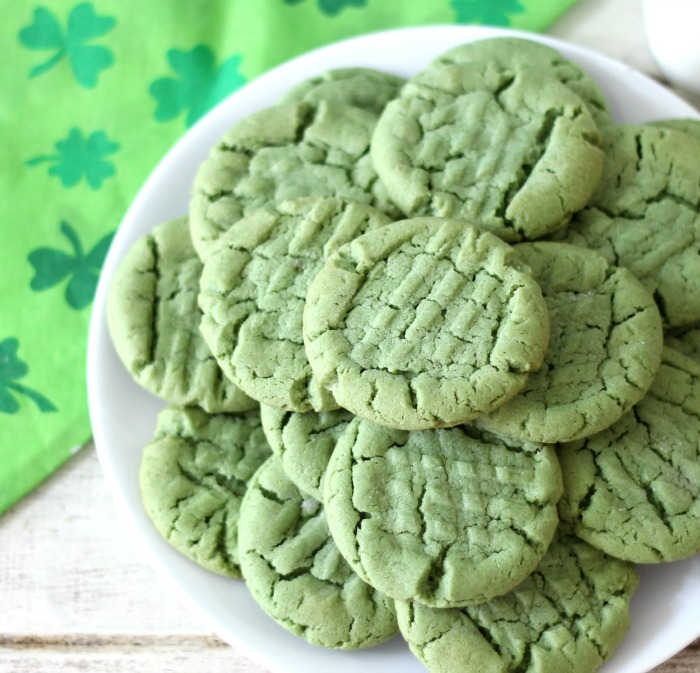 Peanut Butter flavored cookie with a soft center and crispy edges with a pinch of green food coloring to add holiday color. In a large bowl add sugar, brown sugar, peanut butter, shortening and butter. Beat until well combined. Add vanilla, and maple syrup and beat in 1 egg at a time until combined. Add 6- 7 drops of green food coloring and beat until mixed in well. Gradually beat in beat in flour mixture until combined. Shape dough into 1¼-inch balls. Place about 3 inches apart on cookie sheet (9 cookies per baking sheet). Flatten in crisscross pattern with fork dipped into sugar. Be sure to refrigerate the dough in between baking batches of cookies. Bake in oven for 8 minutes for soft center, lightly golden on the bottom or 9 minutes for a crispy cookie that is lightly golden on top. Let the cookies rest on baking sheet for 5 minutes, then place on a cooling rack. I am loving these cookies! One thing I didn’t tell you is that they are great frozen too. Matter in fact I like to eat them frozen. I know it sounds strange, but trust me, they are good! Well that is it for me my friends. Time to get ready to make dinner. However, after eating all of these cookies, I’m kind of not hungry!